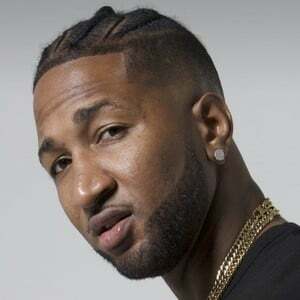 Hip hop artist and television personality who joined the seventh season of Love & Hip Hop: Atlanta as a supporting cast member. In 2011, he released a mixtape called I Am Tabius Tate. He was an All-American basketball player in high school. He trained with the Atlanta Hawks but did not make the team. His third mixtape, This Ain't A Mixtape, featured a track called "Kendrick Lamar (The Verb)." He earned more than 100,000 followers on Instagram. He was dating Tokyo Vanity at the time he started appearing on Love & Hip Hop. They broke up soon after. Gucci Mane appeared on his second release, This Ain't A Muthaf**kin Mixtape.